85% organic. Brings vitality to fine hair. No mineral oils, synthetic fragrances or colours, parabens and silicones. Non GM.A gentle creamy shampoo with nourishing jojoba and calendula to enrich and volumise fine hair and soften unruly curls. 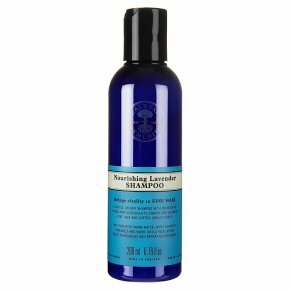 Neal's Yard Remedies shampoos are naturally low-foaming to gently cleanse hair without stripping it of its natural oils, which can leave it dry and brittle. Think of it as fewer bubbles, more bounce!